Heather Moll is a Senior Sales Consultant for Top Value Fabrics. A graduate of Northern Kentucky University’s Haile • USBank College of Business with a degree in Business Management, she has a background in Sales and Human Resources. 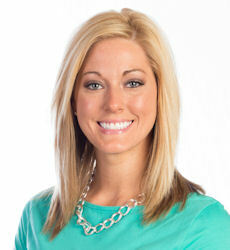 Heather joined the company in August 2010 and has demonstrated her experience in the Print Media industry very quickly. Heather has recently attended numerous industry trade shows as well, including multiple ISA International Sign Expos, NBM Shows and SGIA Expos. Special interests include spending time with family, friends, and her dog Sam. She also enjoys watching UK Basketball, biking, music and warm weather.